Sports injuries can be a result of an acute trauma or an overuse injury. These injuries can affect bones or soft tissue such as ligaments, muscles or tendons. 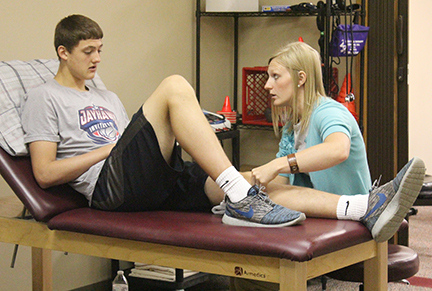 The therapists at Abilene Physical Therapy and Sports Rehab enjoy treating athletes of all ages. Our treatments are geared specifically for the athletes’ unique and growing body and include education to make sure the patient learns the correct form to help not only recover quickly but also to help prevent future injury. While we know the goal of any athlete is to get back in the game, it is important to complete all therapy to ensure a full recovery.